Only 1% of the deer shot in Spain achieves a trophy medal. Venadogen will help you to widely improve those statistics. 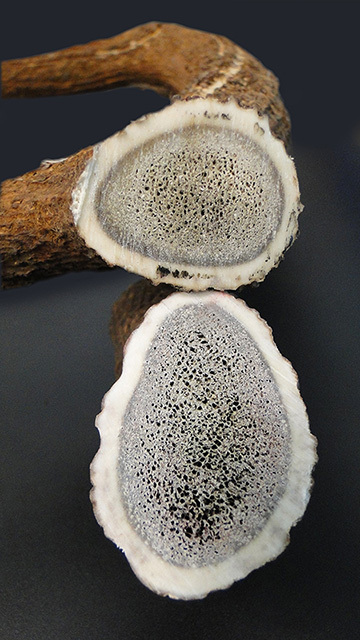 We incorporate the most advanced, novel and powerful technology for assessing histology, mineral composition of the antler, structure, and mechanical properties both at architectural level and the mechanical quality of the bone material. With these techniques we can detect, diagnose, and correct mineral deficiencies. In turn, this allows to advice on the minerals needed to supplement in the diet in order to improve the trophy in its main characteristics: length, weight, circumference, and beauty.